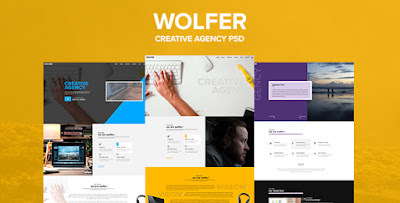 Wolfer PSD Template is design for Creative Agency. The design is very elegant and modern and also very easy to customize. It has 3 stunning home page layouts and 15 well organized PSD files are included. Item Reviewed: Wolfer 3 in 1 Creative PSD Template 9 out of 10 based on 10 ratings. 9 user reviews.